← I don’t want to be strong. I want to be vulnerable. Jaime Aleko, as video journalist working with such media collectives as Periodismo Humano, has covered and denounced the ravages of contemporary capitalism and recorded the many resilient and courageous forms of resistance to it, with a visual language, can one dare say it, of silent, poetic eloquence. Footage recorded in Idomeni (Greece) between March and May, 2016. 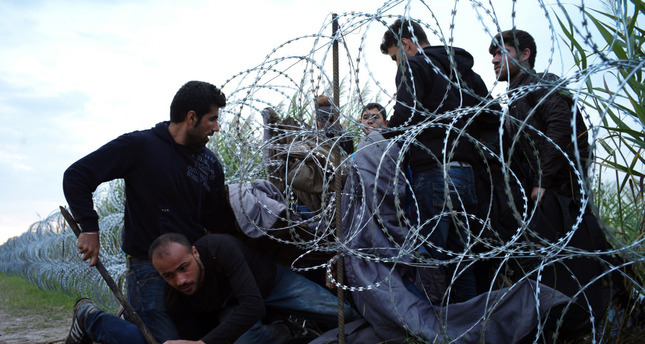 Idomeni is a Greek border village located 100 meters from the Republic of Macedonia. The Republic of Macedonia closed its border on the 9th of March, 2016, and about 15.000 refugees who were traveling north, mostly Syrians, got stuck in Idomeni. The 14th of March, 2016, about 2.000 refugees left Idomeni. They crossed the Konska River, walked until the end of the fence and crossed the border. Shortly after, they were arrested by the Macedonian Army and returned to Greece. Greek authorities evicted the camp the week of the 23rd of May, 2016. Footage taken in the surroundings of Belgrade’s Centre railway station, where about 2.000 migrants, mainly from Afghanistan and Pakistan, are living since they got stuck in Serbia when the borders in the Balkan route shut in March 2016. The temperature in Belgrade in the last days is between -13ºC and -1ºC, freezing continuously for several days in a row. For more of Jaime Aleko’s see work, see his website and youtube channel. For related reports-reflections in Autonomies, click here. This entry was posted in Commentary, Film and tagged Jaime Aleko, migration. Bookmark the permalink.